Every now and then a sequel outdoes the original, and that’s certainly the case here. 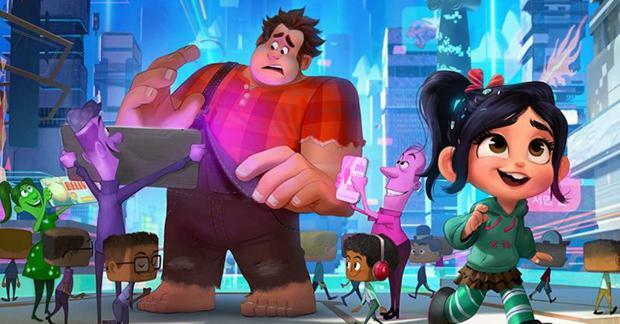 Disney’s 2012 animation Wreck It Ralph imagined the inner lives of arcade video game characters, but somehow managed to be simultaneously frenetic and dull. Not so this tardy follow-up, in which jovial giant Ralph (voiced by John C Reilly) travels into the murky depths of the internet with his friend Vanellope von Steetz (Sarah Silverman) in search of a second-hand steering wheel that will save her doomed game. A high concept script pokes fun at our online obsessions and Reilly and Silverman resume their voice roles with aplomb.